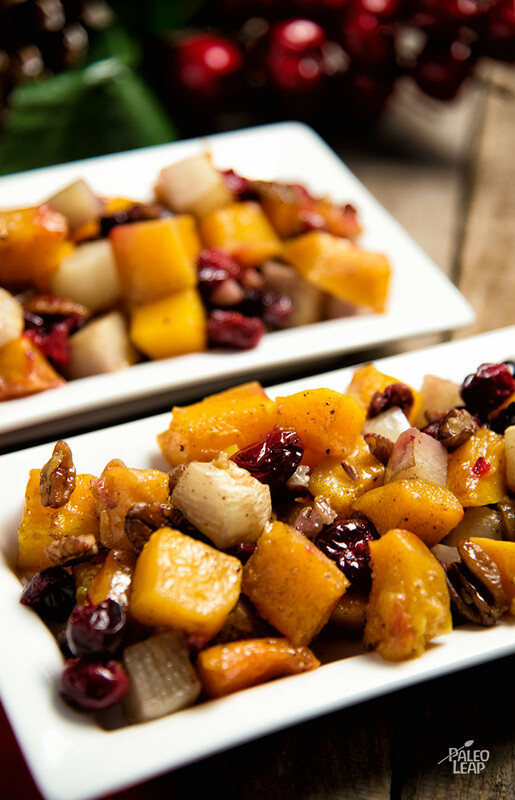 This cheerful side dish would be great for anyone who likes roasted squash but wants it with a little more savory and a little less sweet. The turnips add just a little bit of bite, but they’re mellowed out by the roasting and the spices. And the tartness of the cranberries also gets toned down a lot by roasting the, so they don’t even need any honey or other added sweeteners to make them tasty. This would be a great recipe to serve with almost any kind of protein, and it’s a very filling side dish if you’re hosting guests who are used to a big side of starch like rice or bread. And any vegetarians at the table would probably be happy to have something substantial to eat, especially if they can’t fall back on a big pile of bread. You could also adapt this to a stuffing recipe, if there’s a bird in your life that needs it. It’s a very adaptable concept; try it out and see how you end up using it. In a large bowl, combine the butternut squash, turnip, cinnamon, allspice, nutmeg, olive oil and season with salt and pepper to taste. 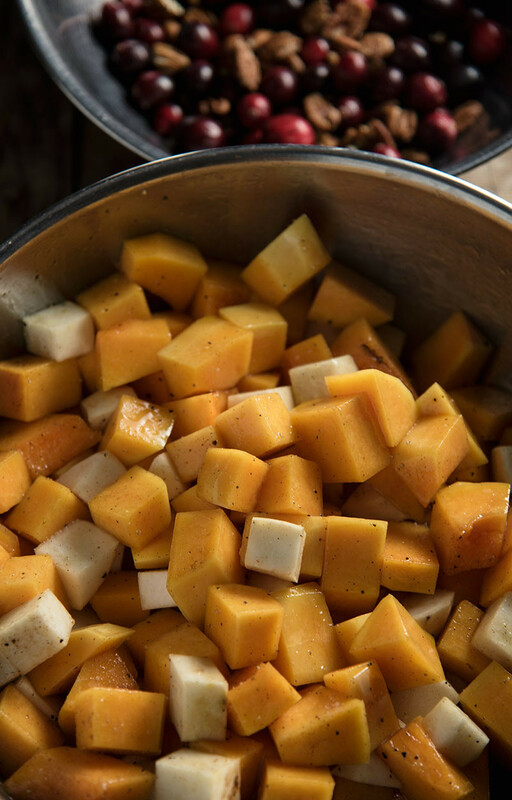 Toss the squash and turnips until well-coated with the oil and spices. Spread the vegetables on a greased baking sheet, and place in the oven. Remove the baking sheet from the oven. Add the cranberries and pecans and toss everything. Return to the oven and cook for another 15 minutes.